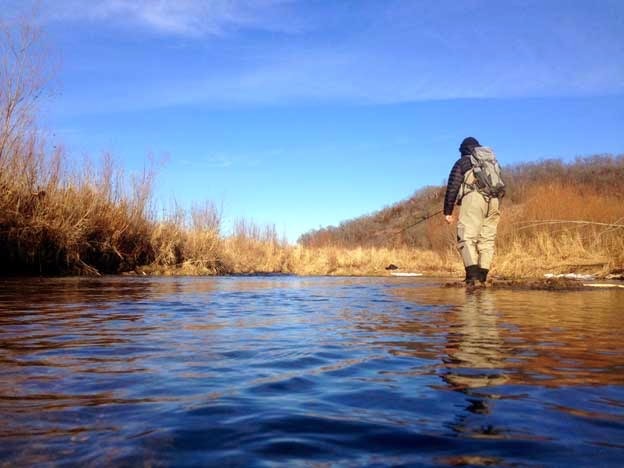 Jon Uhlenhop spent the weekend with some friends in the Driftless area of NE Iowa last weekend. 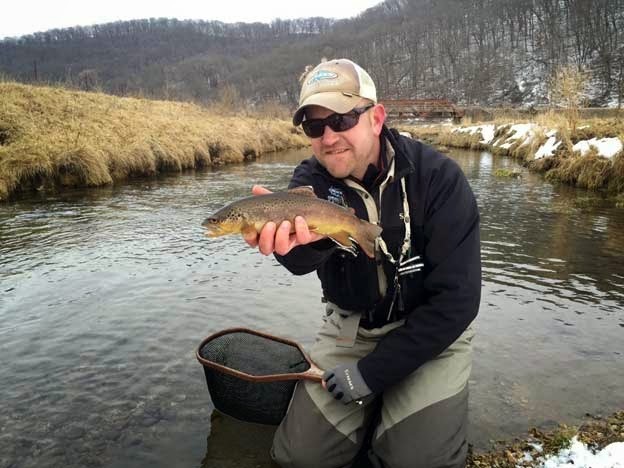 Trout season remains open in the winter and is a great spot to wet a line when the weather isn't too bad! The weather was mild and temps climbed to the mid 40’s on Saturday. While there were a few Midges hatching, rising trout were few and far between given the cool water temps from slow melting snow. French Creek was running vodka-clear and the fish were found in the deeper, slower holding lies. A few fish were hooked and landed on nymphs but overall fishing would be considered slow. Waterloo Creek was the target on Saturday where again, nymphing seemed the best way to tempt trout. We chose the lower section of the river hoping to take advantage of the slower, deeper water and recent stream improvements. 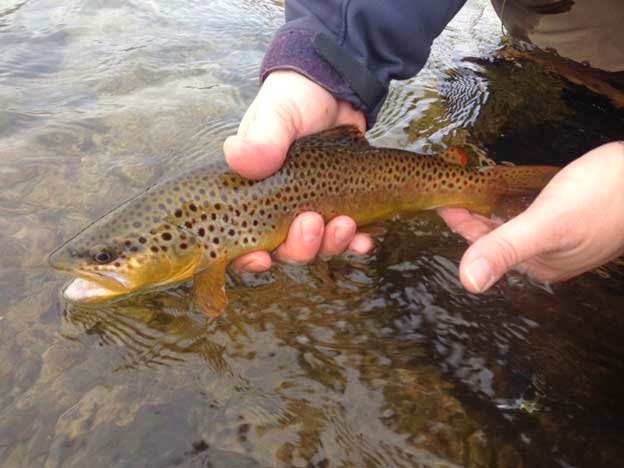 All fish were caught on Pheasant Tails despite seeing midges and few rising fish. With 38 degree water temps at the start we knew the fish would be consolidated in the “winter water”. 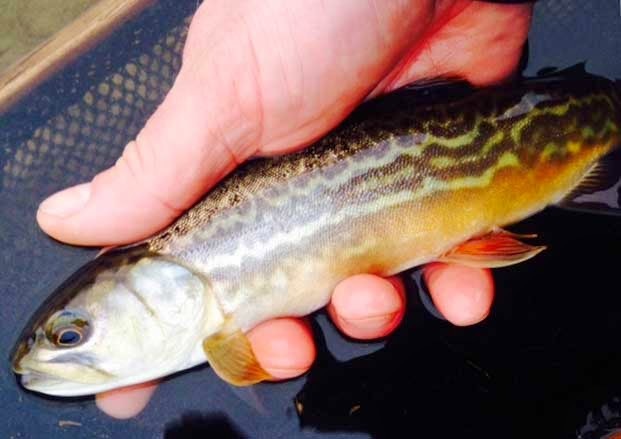 I managed to find a rare Tiger Trout! Although the fishing would be considered a bit slow it was a treat to spend a few days on the river working out the kinks. It also gave me an opportunity to fish some of the flies I have been tying all winter, and to try out some new gear. I am happy to report that my new Simms Vapor Boots are awesome - really the perfect boots for covering the type of terrain that we have in the driftless and Seaguar Grand Max FX is the best 5X fluoro that I have ever used! 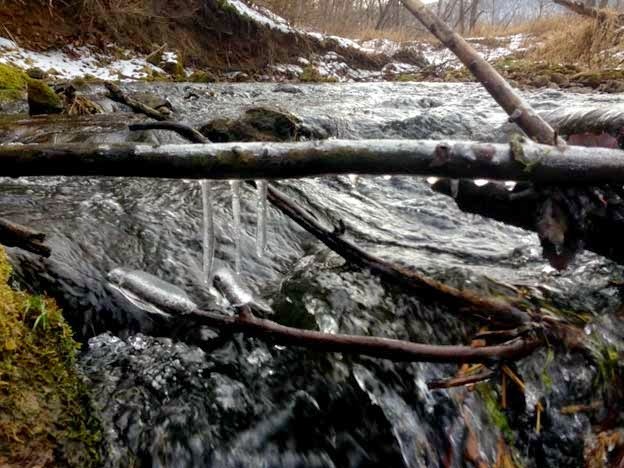 If you are climbing the walls and need to get fishing, watch the weather for a few warmer days and head out the MN/IA Driftless!